Our "Translator Relay" series features a new interview each month. This month's translator will choose the next interviewee, adding a different, sixth question. 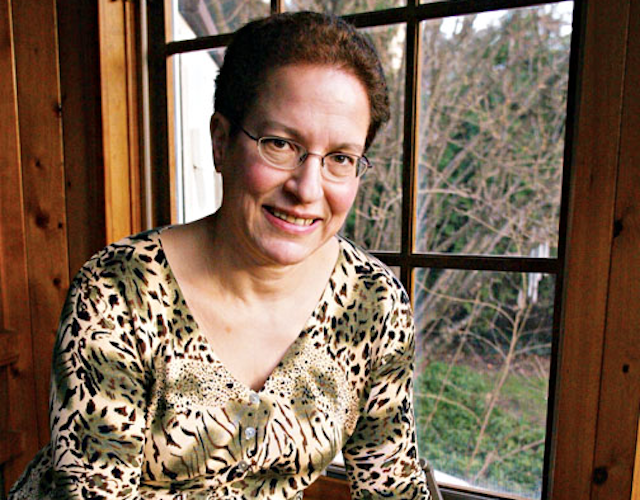 Ross Benjamin passed the baton to Shelley Frisch, who has published widely on German literature, film, cabaret, and the political and linguistic dimensions of exile, as well as on translation; her book on origin of language theories, The Lure of the Linguistic, was published in 2004. Her many translations from the German include biographies of Nietzsche, Einstein, and Kafka, for which she was awarded a Modern Language Association Translation Prize. Frisch also co-directs international translation workshops with Karen Nölle.